Consider to ditch your old iPhone iPhone 6 and iPhone 6s for a flagship iPhone 7(or iPhone 7 to iPhone 8)? Surely the iPhone 7 has a lot of iPhone 7 pros over older iPhones, but iPhone 6S and iPhone 6 are also top-tier smartphones. Hard to decide which one is more suitable, iPhone 7 or iPhone 6s or iPhone 6? Prior to make some decision, you're suggested to get a deeper understanding about iPhone 7 and iPhone 6s and iPhone 6. After the side-by-side comparison, it's the high time for you to decide which one to buy: iPhone 7 or iPhone 6s/iPhone 6. Note: If you'd like to stick with iPhone 6/6S rather than new iPhone 7, you can check the iOS 10 update guide to enjoy more features on iOS 10 without any problem. Now, you are able to update to iOS 11 from iOS 10. Apple announced its 10th anniversary iPhone, iPhone X. iPhone X vs iPhone 8 vs iPhone 7, iPhone X is the best ever iPhone, which comes with face recognition, A11 processor, all-screen display, much better battery life etc. Check out top 30 iPhone X pros and cons and decide whether it's worth the money to update. To celebrate the 10th anniversary, Apple also maked a great change on the next-gen iPhone 8, featuring wireless charging, dual-lens camera, Retro glass body, etc. What are the iPhone 8 pros and cons? Will it be the best smartphone so far? Read on about our comprehensive comparison between iPhone 8 VS iPhone 7 before you upgrade to new iPhone 8. Now iPhone 6s is available from online or the physical Apple store. So we can clearly see that there is no big difference between iPhone 6s and iPhone 6 in design, except for the 3D Touch. How about the upcoming iPhone 7/Plus? 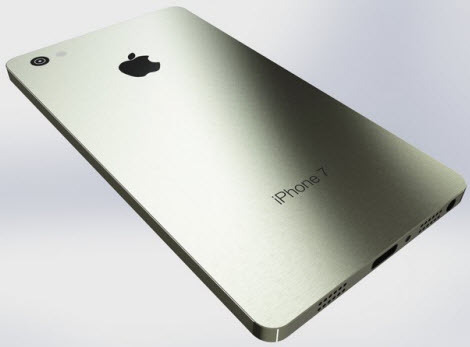 Would iPhone 7 have a big change? According to the 2016 Apple Event, iPhone 7 (Plus) features a waterproof design, Lightning port instead of the standard 3.5mm headphone jack. iPhone 7/Plus goes to iPhone 7 buttonless redesign, which indicates Apple dumps home button completely on iPhone 7/Plus, making no wasted space on iPhone 7's front face. The new "Home" button enables vibration as well. Have to admit that it all contributes to the 3D Touch tech infused in iPhone 6s. As for the backwords, iPhone 7 (Plus) discarded the three-piece design, which makes iPhone 7/Plus conciser. Besides, iPhone 7/Plus has two new color, new black and jet black colors instead of space gray, making iPhone 7 more attractive than iPhone 6S or iPhone 6. After you review this comparison between iPhone 7 and iPhone 6s and iPhone 6, if you decide to upgrade iPhone 6/6s to iPhone 7 or Plus, you will need to do one thing: transfer your data from old iPhone 6/6s to new iPhone 7. How to transfer data easily without the hassles via iTunes or iCloud transfer? MacX MediaTrans comes to the rescue. This professional iPhone manager provides an overal solution on how to backup iPhone 6/6s/se etc to iPhone 7, helping you to backup and transfer photos, videos, music etc from iPhone 6S/6/SE/5 etc to iPhone 7 on Mac/PC in a flash. When it comes to iPhones comparison, how could we miss the display comparison part? iPhone 7 vs iPhone 6s vs iPhone 6 review is also of no exception. iPhone 6s features with a display of LED-backlit IPS LCD, capacitive touch screen, 16M colors. 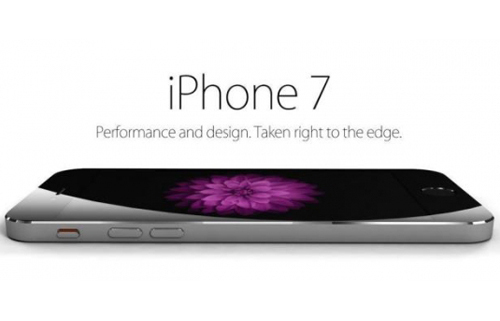 While iPhone 6 has a LED-backlit widescreen Multi-Touch display with IPS technology. Compared with iPhone 6 and iPhone 6s, iPhone 7/Plus' display have numerous possibilities and are more suitable for watching movies. And, knowing how to download movies to iPhone 7/7 Plus is pretty necessary. Besides the intrinsic iPhone 6S display features, iPhone 7/Plus also benefits something new, like the 4.7/5.5 inch Retina HD display; Multi-Touch display with IPS technology; 1334 x 750 pixel resolution at 326 ppi or 1920 x 1080 pixel resolution at 401 ppi etc. As is known to all, Apple iPhone 6 runs on A8 processor and iPhone 6s comes out with A9 processor, no surprise. 2016 iPhone 7 ships with A10 chip, no doubt. This time, the A10 might be different, to some extent. There are speculations showing that the iPhone 7 might be fitted with A10 Fusion chip with 64-bit architecture, embedded M10 motion coprocessor, which will make it significantly speedier on iPhone 7 than the iPhone 6s and 6 Plus. To be more specific, the four-core four-core processor A10 clip is expected to be 50 per cent faster than the current A9X. Combined with 3GB RAM in iPhone 7/Plus, while the current iPhones have only 2GB, no doubt that this difference gives iPhone 7 a big advantage over iPhone 6 and iPhone 6s. Learn how to speed up iPhone. Right now, we can obtain iPhone 6 or iPhone 6s with 3 storage versions standing by: 16GB, 64GB and 128GB. And for the upcoming 2016, we have chance to buy iPhone 7/Plus with capacity up to 256GB, iPhone 7 is the end of iPhone 16GB. This is a big storage upgrade for iPhone. However, it has double sides, good and bad. On one hand, many iPhone users find that 16GB isn't enough for their day-to-day needs, so they think to some degree the 16GB iPhone weakens their user experience. On the other hand, the much higher price labeled at 64GB puts them off shelling out for more storage. To upgrade from iPhone 6S to iPhone 7/Plus, MacX MediaTrans will help you backup iPhone to Mac/PC, and then transfer the iPhone 6S backup to iPhone 7 in one click. And also free up iPhone 7/6s/6 space to computer. iPhone 7/Plus vs iPhone 6s/ 6: What Are the iPhone 7 New Features? 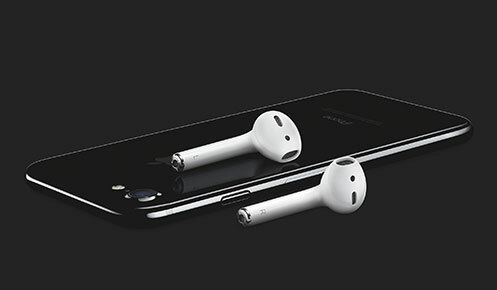 Different from any iPhone series before, you are allowed to enjoy music on iPhone 7/Plus without earphones since the wireless headphones finally untagged. After a simple one-tap setup, AirPods are automatically on and always connected so that you can use them at ease. They can sense when they're in your ears and pause when you take them out. And the AirPods experience is just as amazing whether you're listening to your iPhone, Apple Watch, iPad, or Mac. By the way, the AirPods shipped with W1 chip which could manage battery life very well, about 5 hours listening for a single charge. It will available to buy later, costing $159. As we know, the battery life of iPhone has always been complainted, no matter the iPhone 6/Plus or iPhone 6s/Plus. Fortunately, this problem finally be solved on iPhone 7/Plus. Apple says, the iPhone 7 Plus lasts up to 1 hour longer battery life than iPhone 6s Plus and the iPhone 7 stands up to 2 hours longer battery life than iPhone 6s. Well, the battery life might not be as long as you think. But to some degree, it improves iPhone 7 battery life indeed. If you're still not so satisfied with the iPhone 7 battery life, you can get some useful iPhone battery life saving tips or wait to upgrade to iPhone 8 with big improvements on battery life (maybe with graphene battery). In comparison between iPhone 7/Plus and iPhone 6s/iPhone 6 for camera, we have to choose iPhone 7 Plus. iPhone 7 Plus will sport 21-megapixel DSLR quality camera, with 8 MegaPixels front camera and 12 Mega Pixels of rear camera. The larger version iPhone 7 Plus may even come with a dual-lens rear camera. So in comparison iPhone 7 and iPhone 6S/iPhone 6, iPhone 7 may offer a a dual-camera system, with more effective optical image stabilization (OIS), as used in the iPhone 6/6s Plus, and 4k video recording capability. Can you imagine iPhone 7 comes to your hand without SIM card? A report in the Financial Times suggests that smart phones with physical SIM cards may soon be a history, as Apple and other smart phone manufacturers come closer to agreeing a standard for a built-in software/electronic SIM. The FT predicts that this project is more likely to come into effect in the 2016 iPhone 7/Plus. Ground on the same source, it's also in all likelihood that the iPhone Pro ships with a pre-installed Apple SIM. "[The Apple SIM], which also made its debut with the iPad Air 2, allows consumers to sign up for mobile data plans from any participating carrier directly from the Settings app without long-term contracts and to switch providers at any time," says the site. Wonder if it's convenient enough and if you can be accustomed to it? Don't think too much. It's just a speculation. What iPhone 7's SIM card would really become, we need time to say the truth. 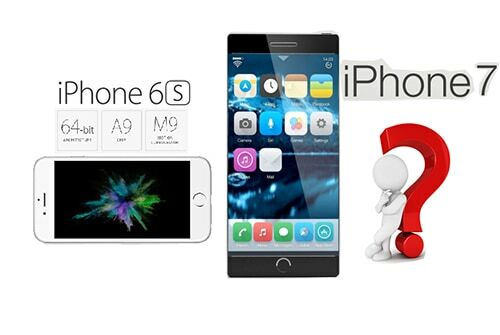 Conclusion: No matter what iPhone 7 will be like and iPhone 7 or iPhone 6s or iPhone 6 is better, it's no doubt that they are the world-class smart phones that can provide you with a smart yet sound mobile experience. And they constantly refresh their sale records, like the recent $48 million iPhone sales at the Q4 2015 revenue. iPhone 6, iPhone 7 or iPhone 6s are all super fast and reliable. Besides, they are all ideal devices for your movie video enjoyment. iPhone 7 vs iPhone 6(Plus) vs Samsung S6 detailed comparison is gathered, know more about the devices' respective design, display, camera, etc. here. MacX MediaTrans is an all-in-one media manager for iPhone iPad iPod with top quality and fast speed. This feature-rich iPhone transfer software will transfer music, pictures, HD or SD videos to mobile devices.